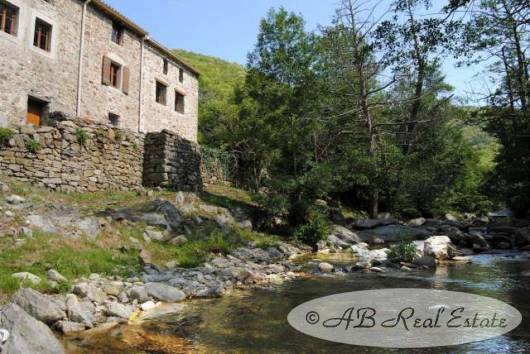 A comfortable and inviting ancient Mas in delightful scenery situated in the Vallespir valley in a calm and peaceful setting with a well providing water, bordering a tranquil river. Amenities are about 10kms by narrow windy roads and the airport about 1 hour away. 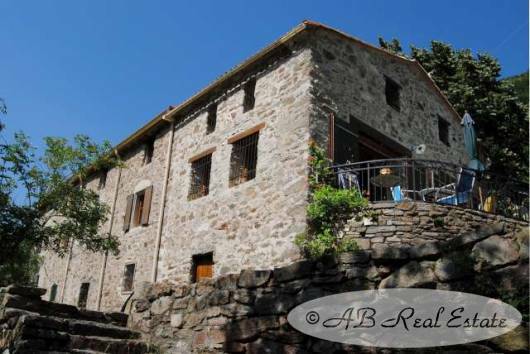 The Mas has well sized bright rooms and is divided into 3 separate accommodations with own entrances all with private exterior space or courtyard, BBQ, large living rooms with equipped kitchens : 1 apartment for the owners with 3 bedrooms, 1 large apartment used as gite with 3 bedrooms and 1 apartment used as gite with 2 bedrooms. 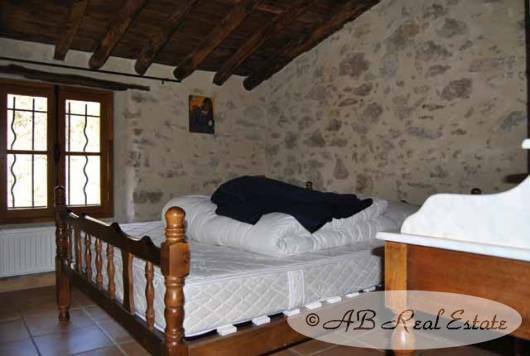 There is further a spacious convertible sous sol and an independent gîte with 2 bedrooms. Original features abound - and excellent rental potential to boot ! The Mas offers 310m² of living surface divided over 3 independent units. Entrance to a bright and well sized living room with open kitchen, stove and wooden ceiling 38m² opening to a terrace with BBQ. Adjoined office with door connecting to the 3 bedroom gite. 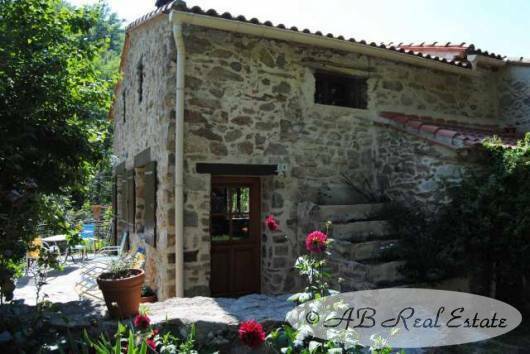 1st floor: wooden stairs lead to 3 bedrooms (15, 19 and 15m²) and a well sized bathroom 13m². Entrance hallway with 2 shower rooms and a toilet 22m², door linked to the first apartment, large living with kitchen and dining area connected to a lounge area 55m². 1st floor : landing, 3 bedrooms (10, 11 and 12 m²), toilet and shower room. 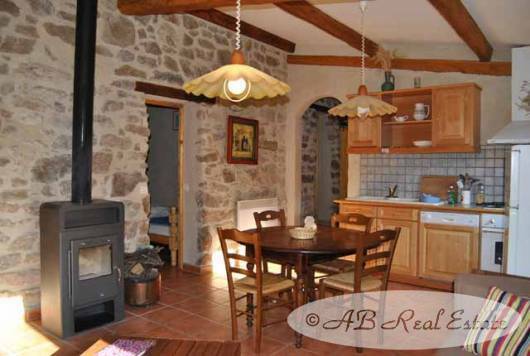 Living with integrated kitchen and heating stove 25m², shower room. 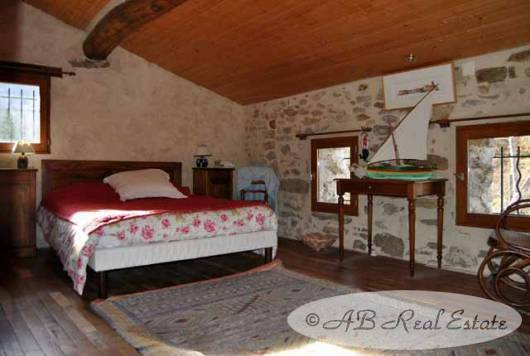 1st floor : en suite bedroom 19 m² with lovely views over the land, the river and the mountains. 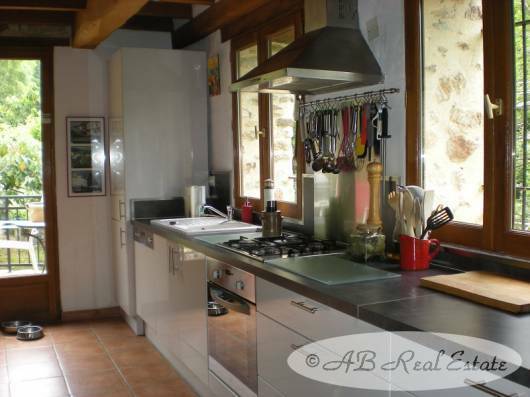 Garden level : living with equipped kitchen (22,5m²), 2 bedrooms (10 and 6m²), shower room. 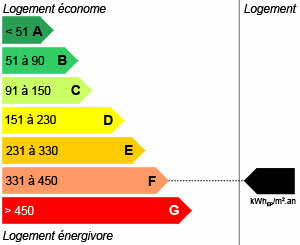 Dependence of 29 m² consisting of 3 rooms with new roof, can be used for animals or storage. 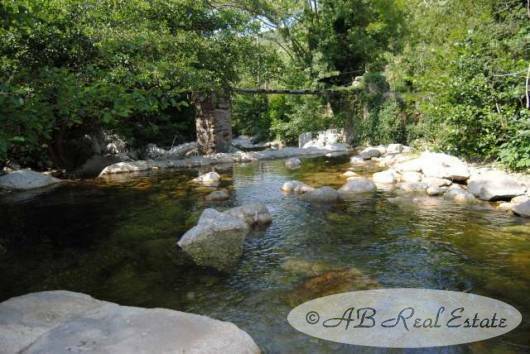 A plot of 1.1370 ha on several levels with woodland, pastures enclosed vegetable garden and beautiful rock formation. Aside the mas runs a river. 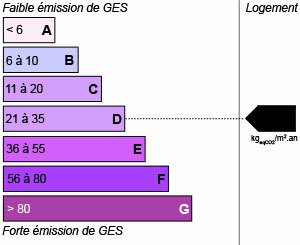 Possibility to keep horses or sheep. 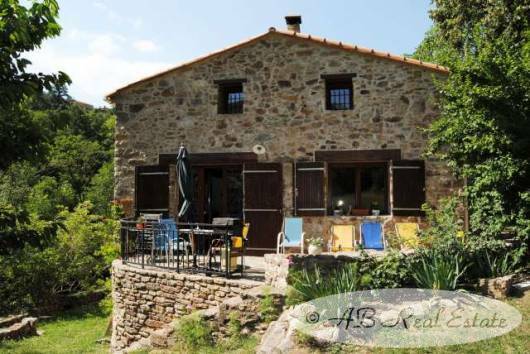 This typical French mountain farmhouse is in very good condition with lots of authentic features such as stairs, beams and floors, stone walls and tiled floors. 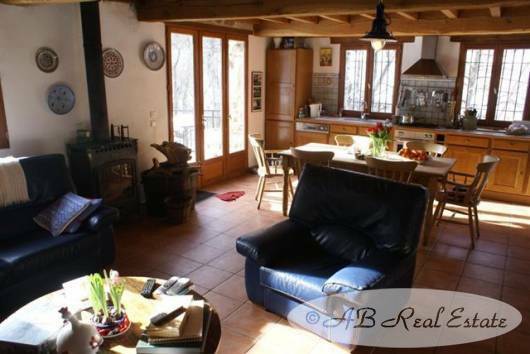 Oil central heating and 3 stoves in the mas, electric heating and stove in the independent gite. Most double glazing in wooden doors and windows, tiled and wooden floors, VCM in sanitary rooms. A well supplies water. Unique mas, ideal for 1 or 2 families to live together with remained letting potential, very attractive for nature lovers, close to walking tracks and those who adore outdoor sport activities. To discover !